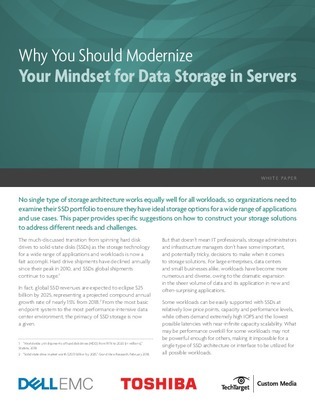 Some workloads are easily supported with SSDs at relatively low price points, capacity, and performance levels, while still others demand extremely high IOPS and the lowest possible latencies with near-infinite scalability. So, what may be performance overkill for some workloads may not be powerful enough for others—making it difficult for a single type of SSD or interface to be utilized for all workloads. That’s why this custom paper provides specific suggestions on how to construct your SSDs to address different needs and challenges. Read on to see which classes of SSD solutions align best with different workloads and why SAS and NVMe will replace SATA interfaces.